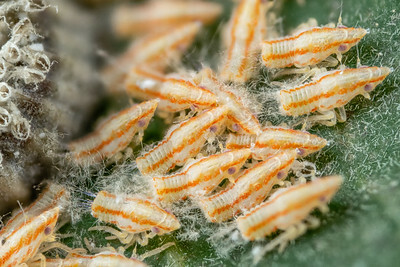 Newly hatched flatid hopper nymphs. Woodgate, Qld. 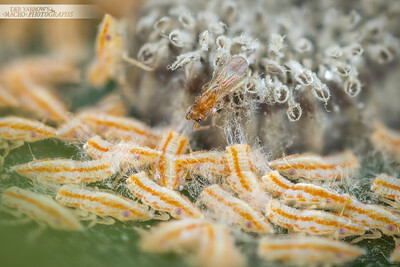 Newborn planthoppers with a wasp parasite hatched from the same eggs. 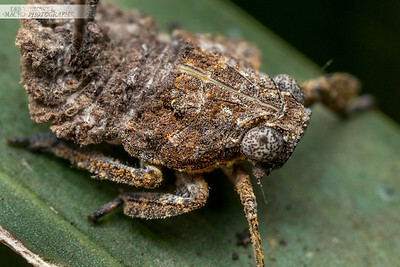 Woodgate, Qld. 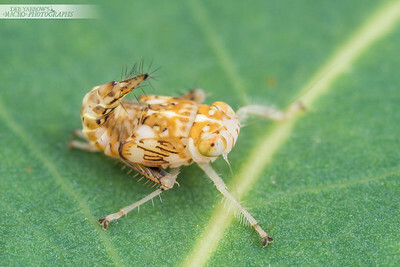 Planthopper nymph near exuvia on a leaf. Woodgate, Qld. 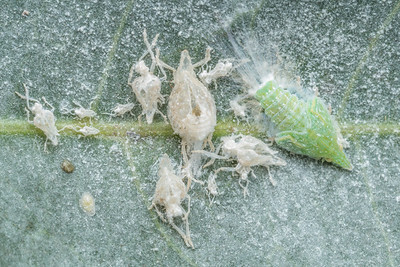 Flatid planthopper nymph carries a small hitch hiker under it's wing. Woodgate, Qld. 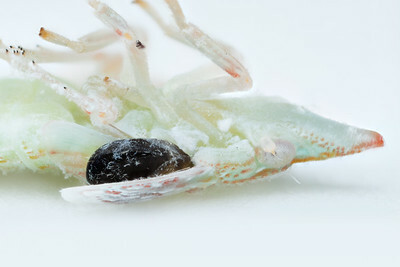 The life history of every instar of this hopper (plus a few tiny absentees). Woodgate, Qld. 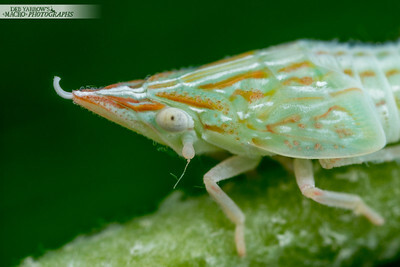 Planthopper nymph on the flower stem of an Hibiscus shrub. Kyogle, NSW. 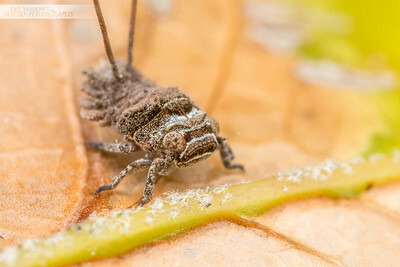 A hopper nymph on a gum leaf. Kenmore, Qld. 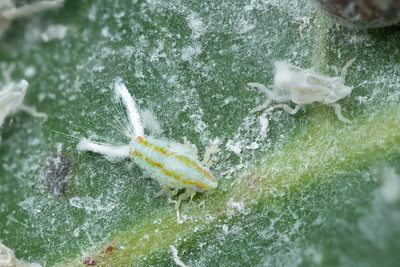 Leafhopper lays eggs in a nest of waxy fuzz. 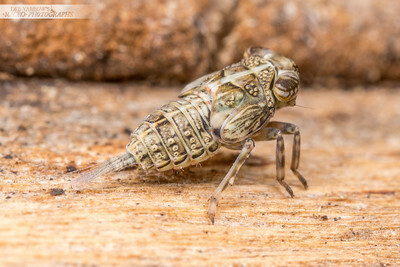 Woodgate, Qld. 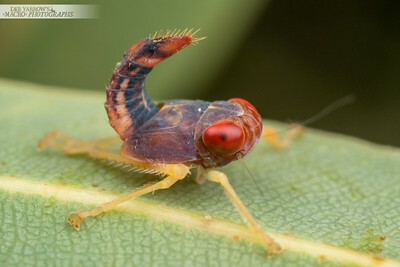 Leafhopper nymph looks cranky. Woodgate, Qld. 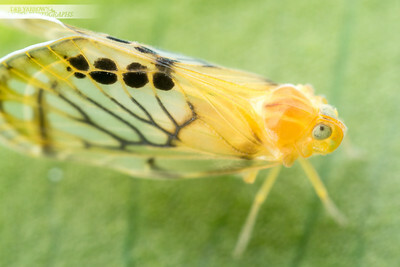 Portrait of a Rhotanini planthopper. 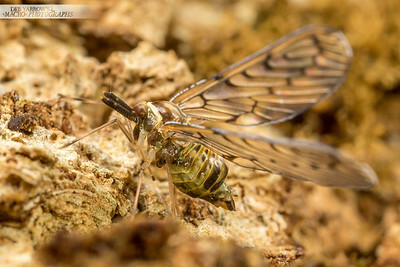 Mt Glorious, Qld. 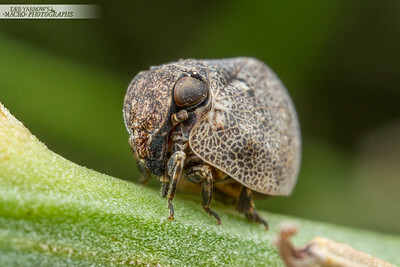 This rather rotund planthopper reminds me of an elephant. 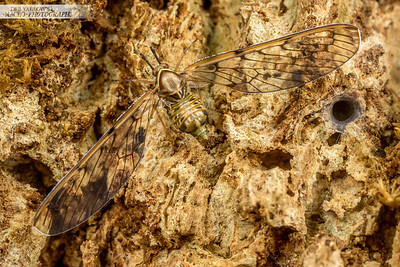 Tarragindi, Qld. 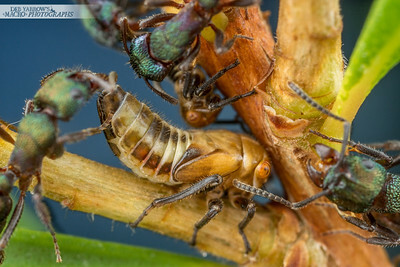 A crew of Rhytidoponera green-head ants harass leafhopper nymphs for honeydew. Mitchell, Qld. 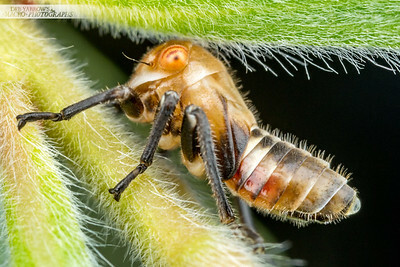 Leafhopper nymph feeds on the young leaves of a bottlebrush tree. Mitchell, Qld. 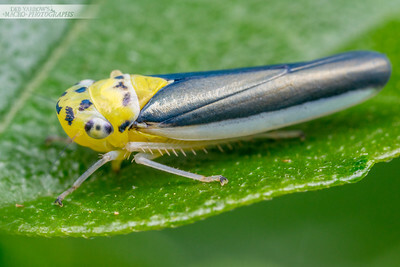 Portrait of a yellow and blue leafhopper (Ishidaella sp.). Kyogle, NSW. 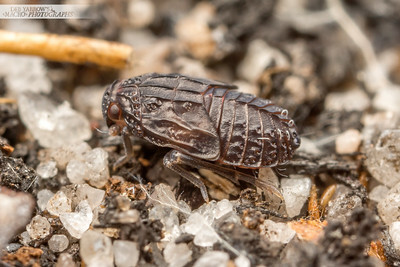 Planthopper nymph on bark. 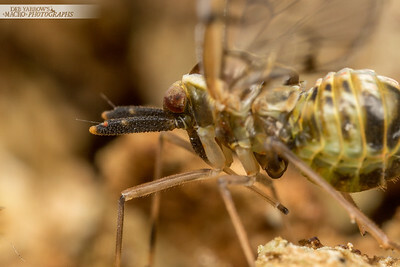 Cania Gorge, Qld. 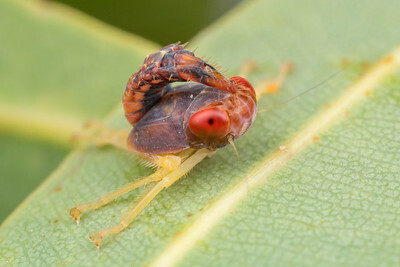 Derbid planthopper has spectacular face ornaments. Cape Tribulation, Qld. 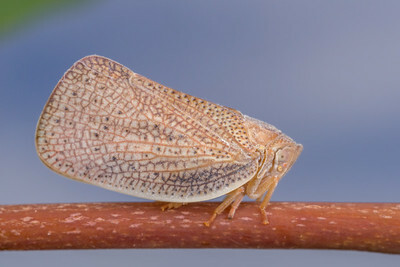 Derbid planthopper sits quietly on a tree. Cape Tribulation, Qld. 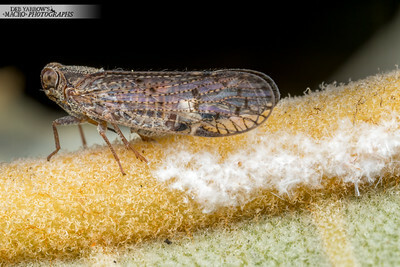 Derbid planthopper sits quietly next to a silk lined hole on a tree. Cape Tribulation, Qld. 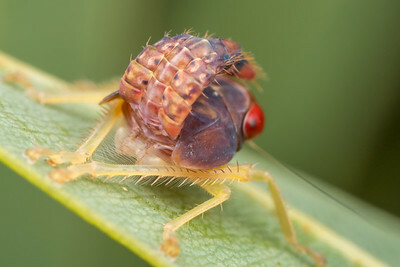 Planthopper nymph has a wooly looking tail. Maybe it keeps the bottom warm. 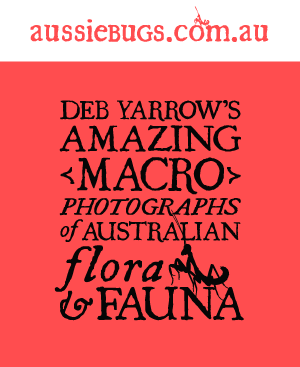 Cambroon, Qld. 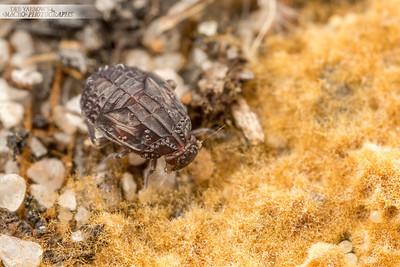 Brown planthopper nymph hides under a rotting log near a termite nest. Woodgate, Qld. 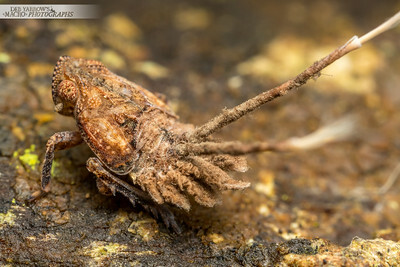 Brown hopper nymph hides under a rotting log near a termite nest and some brown fungus. Woodgate, Qld. 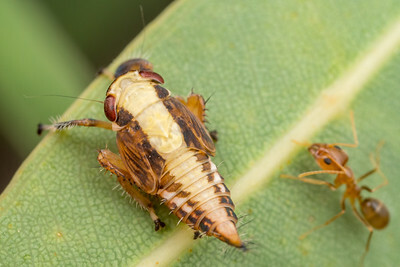 A family of leafhopper nynphs at different stages of development hide and feed inside the curls of new growth on a gum tree. 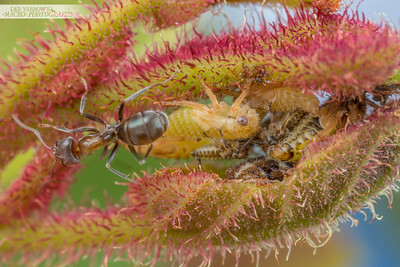 They are attended by a group of iridomyrmex ants who herd the youngsters around the tree to the best feeding spots. Mundubbera, Qld. 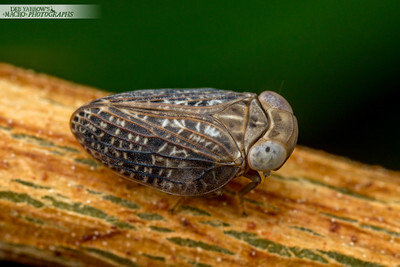 A young leafhopper (Brunotartessus fulvus) rests on a gum leaf. Kyogle, NSW. 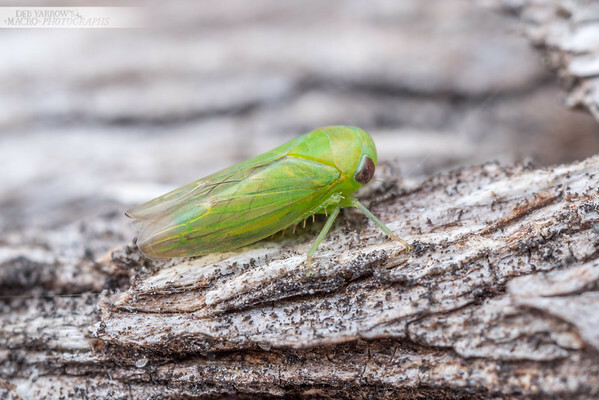 Green Idiocerinae leafhopper sidles away from the photogrpaher. Longreach, Qld. 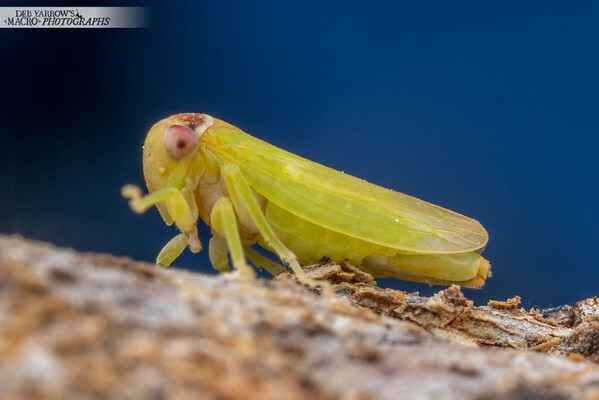 Adult Idiocerinae leafhopper on tree bark. Wilston, Qld.